Originating in Japan, the Akita was bred to be a working and hunting dog. Known as beautiful and loyal companions, these dogs can be wonderful pets. However, while the Akita may be loyal, it can also be a large and powerful protector. With American breeds weighing as much as 150 pounds, these dogs have the ability to do serious harm if they become aggressive. The history of the Akita goes back hundreds of years in Japan, originally used as fighting dogs. Their large size and power made them a natural choice for hunting, with many aristocrats using these dogs to hunt boar, deer and even bears. Through the centuries, the breed survived in Japan until WWII when the Akita was almost made extinct. Through breeding the few that were left with German Shepherds, the breed continued on. 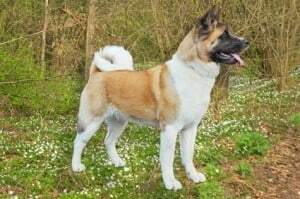 There are two types of Akita, the smaller Japanese version and the larger American strain. Both are recognized by the American Kennel Club as Akitas. These dogs have become more popular in the U.S., first being recognized by the AKC in 1955 and then again as working dogs in 1972. The story of Hachikō, a famously loyal Akita that lived in Japan in the 1920’s, has been captured in movies and folklore. Although beloved for their loyalty, Akitas are also known for their aggression and protective nature. Even the American Kennel Club describes them as potentially “aggressive” and warns that they “should always be supervised around small children and other animals”. These dogs are known to be temperamental and often require extensive training to ensure they learn acceptable behavior. These large dogs have been known for a propensity to bite. One Akita resource website explains that if the parents of an Akita puppy were “biters”, that the puppy is more likely to have a genetic disposition to bite as well. Whether this is true or not, there is an accepted belief that these dogs can be aggressive and without proper training, can bite and be dangerous to those they perceive as threats. No dog is born inherently dangerous or vicious. However, Akitas have a reputation and history of aggression must be considered. Owners of these dogs have a responsibility to properly train their Akitas and keep them restrained to protect others from harm. If an Akita does bite or attack another person, the owner of the dog will often be liable for any injuries that their dog causes. 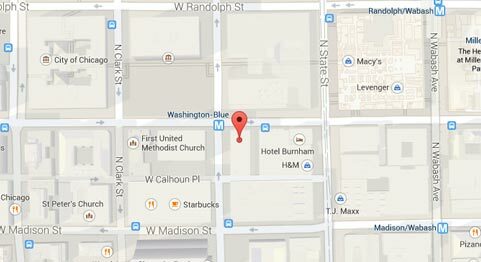 Contact the Chicago dog attack attorneys at Rosenfeld Injury Lawyers LLC now and we can help you the full justice that the law allows for your circumstance.